Xiaomi has launched yet another device called Xiaomi Redmi 4X. It's an affordable 4G LTE smartphone that came in two variants, which are the 16GB inbuilt memory + 2GB RAM and the 32GB inbuilt memory + 3GB RAM. There's also a fingerprint sensor, 4100 mAh battery capacity with fast charging technology, and runs on Android 6.0.1 Marshmallow straight out of the box and powered by Qualcomm MSM8940 Snapdragon 435 chipset. See the full list of specifications below. Price 110 EUR, roughly $120 in USD, INR 8,010, CNY 827, N38,000 in NGN. Xiaomi Redmi 4x specifications. Xiaomi Redmi 4x released date. 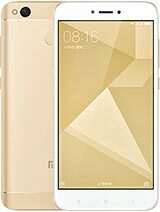 Xiaomi Redmi 4x price in China, India, Nigeria, Kenya, Europe. Yes. Better specs. Size too. Xiaomi can do no wrong with me. I love that brand die. Have you use it before?